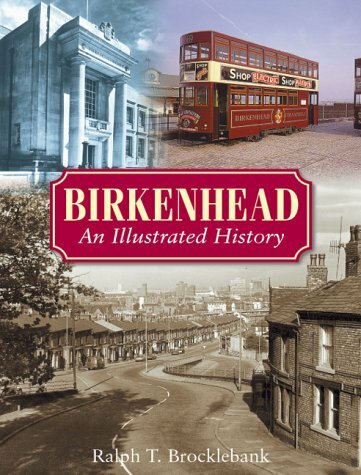 The story of Birkenhead is vividly retold in this lively new history of the town. Ralph T. Brocklebank recalls Birkenhead's origins as a tiny fishing community in a sheltered cove on the Cheshire coast, its medieval importance as a Benedictine priory and crossing point on the Mersey, and its swift, troubled development as a commercial and industrial rival to Liverpool during the eighteenth and nineteenth centuries. His narrative is illustrated by over 200 maps, engravings and photographs from the superb archive at Birkenhead library. The people, places and events that shaped the history of Birkenhead are very much the focus of the book. Larger-than-life characters like industrial entrepreneur William Laird, architects James Gillespie Graham and Joseph Paxton, and philanthropists Charles Thompson, Thomas Brassey and Cannon Knox, all feature in the story, as do famous Birkenhead residents like the poet Wilfred Owen. And extraordinary events are described in detail - the Garibaldi Riots of 1862, the first Remembrance Day of 1918, the Bread Riots of 1932 and the loss of the submarine Thetis in June 1939.<p></p>A strong theme throughout the narrative is the fluctuating fortunes of the shipyard, which had a decisive influence on the income and employment of the people of the town. Ralph Brocklebank's thoroughly researched account provides a sympathetic insight into the difficult living conditions and the dereliction that blighted the town during much of the twentieth century. Only recently has the prospect of renewed investment and regeneration given hope that Birkenhead will achieve the prosperity that was promised by those optimistic entrepreneurs two centuries ago.